As a child, I loved these fried crispy circles that I would devour layer by layer. What was even more exciting was to get the one entire ring out without it breaking midway and the tiniest ring was tried onto the little finger as a finger ring. And the name well, that was another story. We call the bird sparrow a Chakli in India! My sis and me had this ever lasting joke, we’d always tell our mom to fry sparrows for our snakes (snacks) and would giggle about our carnivorous lifestyle…but that’s all a good 30 odd years ago. These memories do however light up the tiring moment when you standing on your feet for two and three hours frying up these crispy bites. 1. Sieve the flour with salt. Add the pepper, red chillie powder. 2. 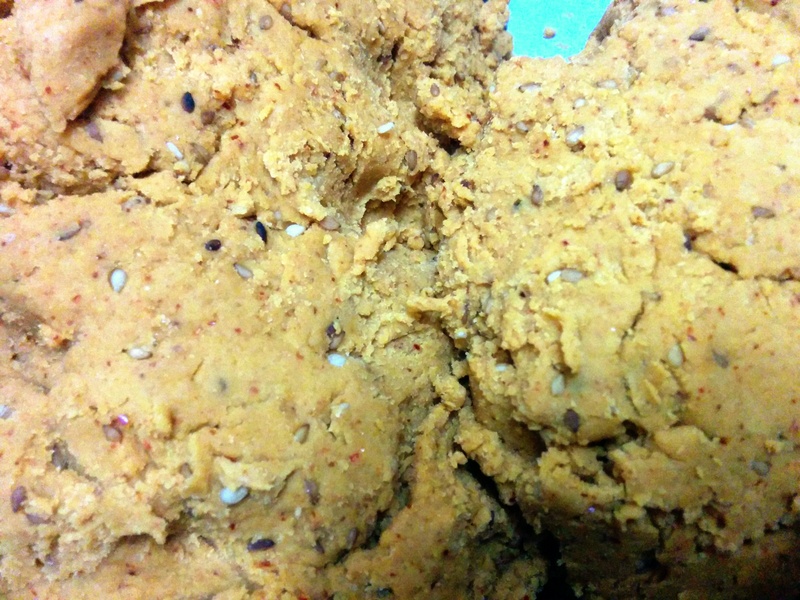 Make a hole in the centre of the flour and add the smoking hot oil and within the hot oil add the roasted sesame seeds. 3. Use hot water to knead the flour into a slightly tight dough. Let it rest for 5 to 10 minutes. 4. Oil the mould (sancha, you will need to buy this to make chaklis, Anjali makes a good one) and place some of the dough in it. Pipe out the chaklis on a piece of paper. Ensure you seal the end of the chakli. Let it rest till slightly dry. 5. 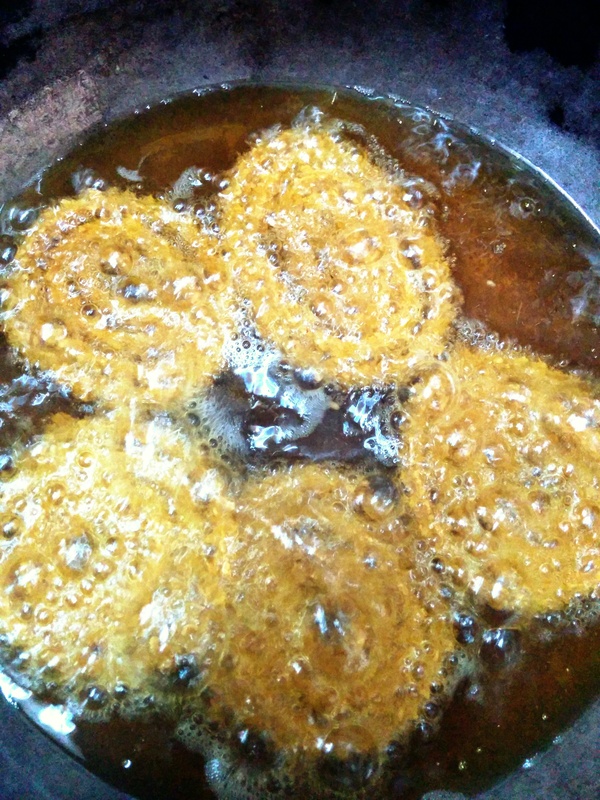 Fry the chaklis in hot oil. Once the chaklis float on top they are ready. Remove them and place them on a piece of kitchen roll so the extra oil is absorbed. 6. 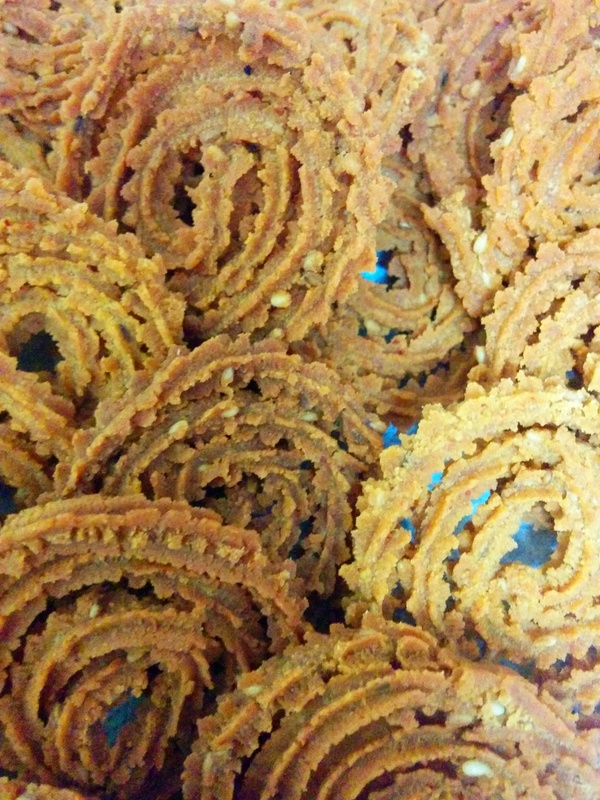 For an oil-free version, coat the chaklis with oil and bake them at 200 degree Celsius for 20 minutes.